FARO®‘s latest ultra-portable FocusS Laser Scanner enable to capture fast, straightforward and accurate measurements of complex objects and buildings. The intuitive touch-screen of the FocusS models has been increased in size and clarity to deliver an extraordinary user experience. A built-in 8 mega-pixel, HDR-camera captures detailed imagery easily while providing a natural color overlay to the scan data in extreme lighting conditions. Familiar traits such as light weight, small size and a 4.5-hour battery runtime per charge makes the FocusS Laser Scanner truly mobile for fast, secure and reliable scanning. 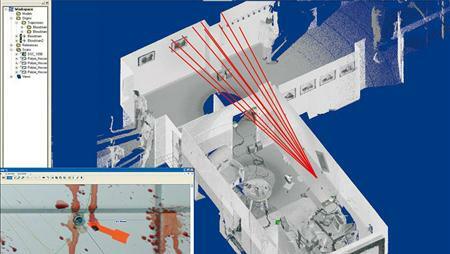 The FocusS 350 offers extra long range – 350m, FocusS 150 is a mid-range device offering precise scanning up to 150m. With their sealed design, both models are certified via the industry standard Ingress Protection (IP) Rating, and classified in Class 54 for environmental protection. 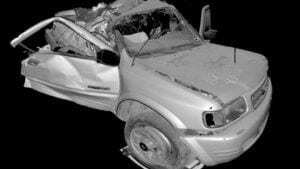 The devices are built to safeguard against intrusions such as dirt, dust, fog and rain as well as other outdoor elements which typically occur in challenging scanning conditions. An addition the two laser scanners offer a future-proof interface to connect additional accessories to the scanner and provide a specific on-site compensation routine. For the short-range applications, the new FocusM 70 Laser Scanner captures data up to 70 meter therefore ideal for indoor measurements and small area applications. 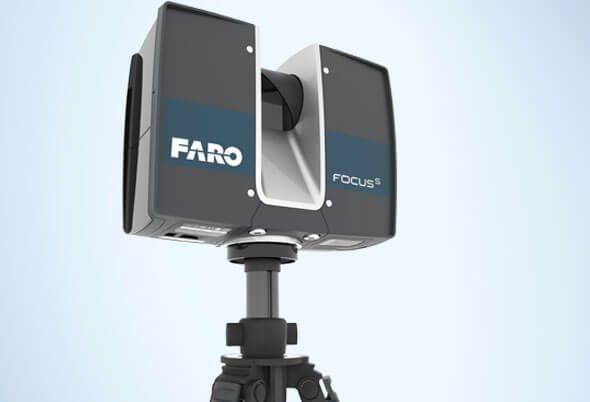 The new FARO FocusM 70 sets a new standard in price/performance for construction BIM/CIM and public safety-forensics applications and is the first professional grade scanner to be offered at an affordable price that does not compromise on the industrial grade performance included in the award-winning FARO Focus Laser Scanner portfolio. Key features include an Ingress Protection (IP) Rating of 54 for use in high particulate and wet weather conditions, HDR imaging, acquisition speed of almost 500,000 points per second and extended temperature range. Additionally, users have unrestricted freedom of choice to leverage the software tools most beneficial to their own workflow as data captured by the FARO FocusM 70 can be used with various software packages including FARO SCENE or 3rd party software such as Autodesk ReCap. By al lowing investigators to capture crime scenes in 3D, the FARO® Laser Scanner provides an exact record of the entire scene at the touch of a button and permits the site to be returned to normal use a short time later.